VP, Sales & Corporate Development Angie brings more than twenty years of experience in the software industry to her role as head of sales and corporate development at ActiveState. Angie re-joined ActiveState in 2017, after working for HPE from 2015 - 2017 as a part of the HPE-ActiveState Stackato acquisition. She loves to work with customers on their innovative new projects. Angie's successful career has included start-ups and large organizations since earning her Bachelor of Commerce from the University of British Columbia. Angie brings more than twenty years of experience in the software industry to her role as head of sales and corporate development at ActiveState. Angie re-joined ActiveState in 2017, after working for HPE from 2015 – 2017 as a part of the HPE-ActiveState Stackato acquisition. She loves to work with customers on their innovative new projects. 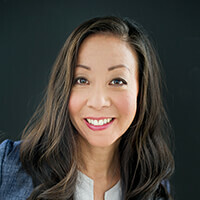 Angie’s successful career has included start-ups and large organizations since earning her Bachelor of Commerce from the University of British Columbia.